Hey y'all! I hope you all had a great weekend! We got lots of girl time on Friday, did a 5K on Saturday, my husband is home safely, and we celebrated my oldest daughter's ninth birthday! 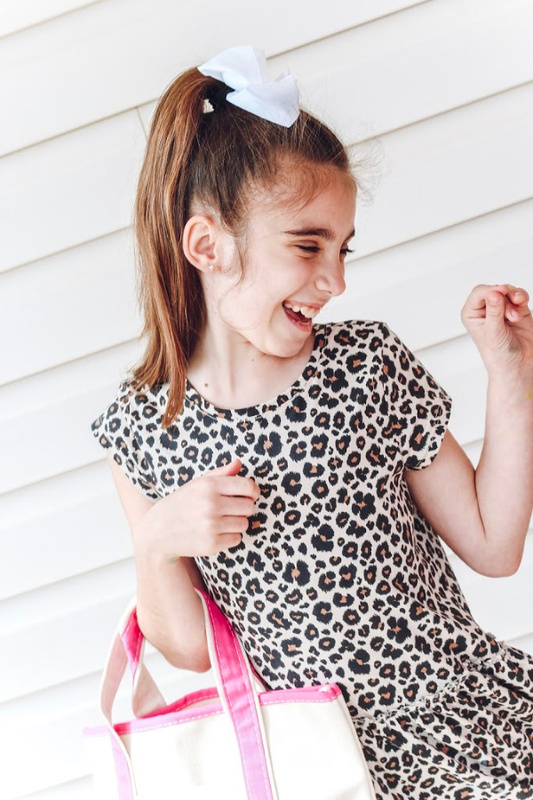 How is she already nine?! I feel like we just brought our lucky charm home from the hospital last week. She was the tiniest little five pound baby when we took her home from the hospital and honestly, I just couldn't believe they were letting us leave with her, lol! 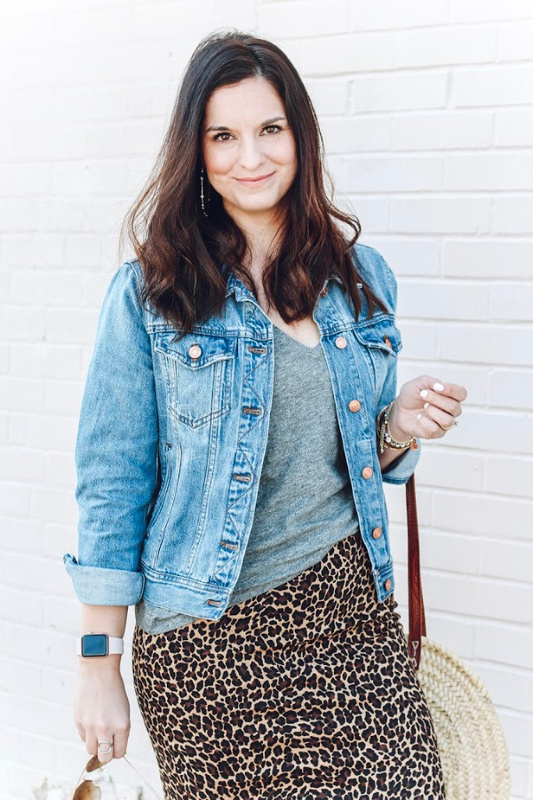 I was 24 and had no clue what I was getting myself into as I entered the world of motherhood. But, this girl has taught me how to be a mother and I am so grateful for this big blessing of being her mommy! 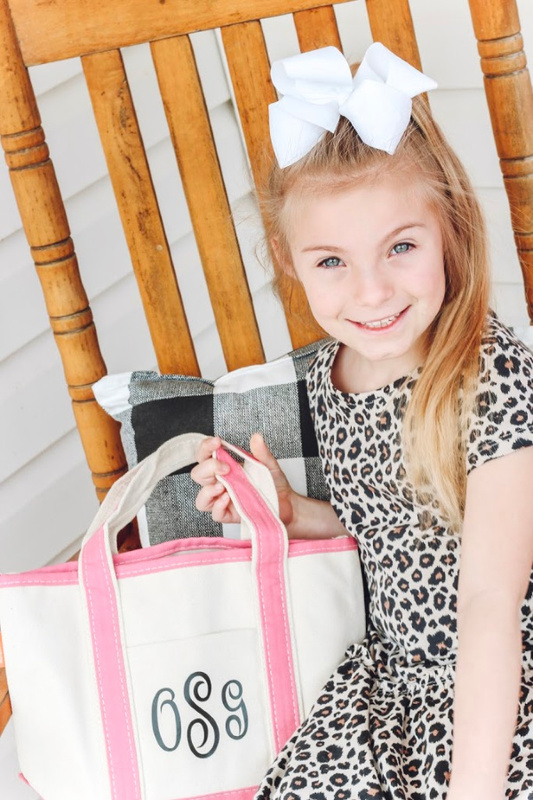 Today, I'm excited to share with y'all the most adorable totes that LaLa Confetti sent over for her girls. I am planning to use these as their Easter baskets this year but as soon as Julianna and Olivia saw them, they couldn't wait to get their hands on them! My girls absolutely love bags and filling them up with as much stuff as possible for any and every outing. They are definitely my kids! 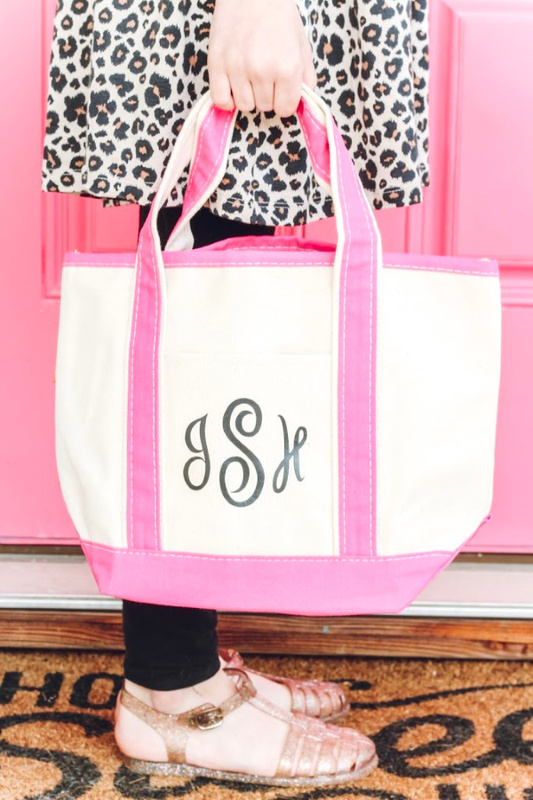 Julianna has the pink monogrammed boat tote in pink with black writing in style number 15. 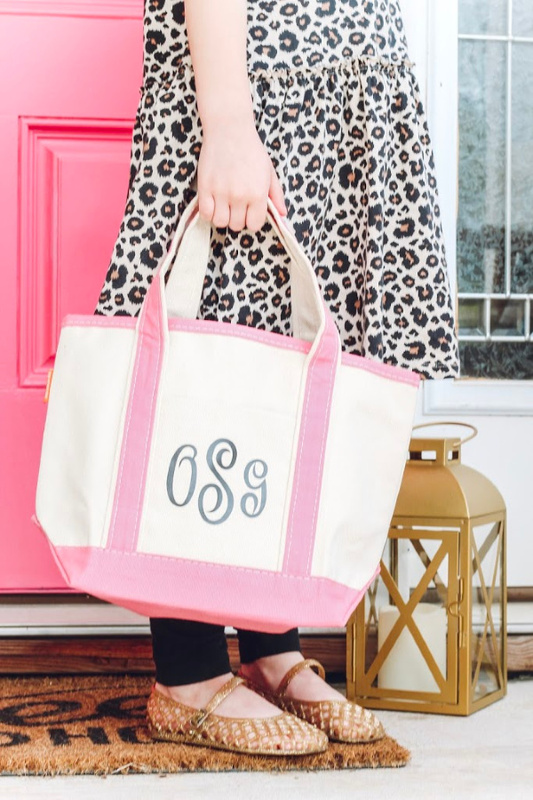 Olivia has the coral monogrammed boat tote in coral with blacking writing in style number 15. 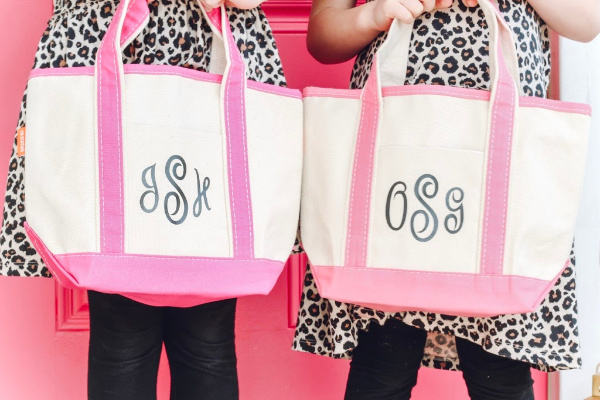 These bags aren't just adorable and perfect for holding all of the things, they are also super affordable! They are under $20 with personalization. Such a great price and an amazing gift idea! 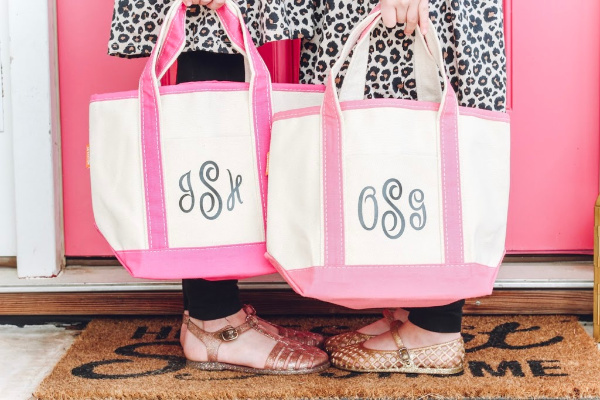 I'm planning to fill their totes up with goodies for Easter and they will also make great beach or pool bags for them to carry their own things this summer!